Housing affordability remains a concern for many would-be home buyers, especially now that mortgage rates are going up. But a new report from real estate marketplace Zillow suggests one segment of the housing market is losing pricing power. A Zillow analysis found that home builders lowered the price on their new inventory at a faster rate in the fourth quarter of 2018 than in the first quarter. The report found a quarter of new homes on the market in the last three months of the year had at least one price reduction. In the first quarter, only 19 percent had a price cut. The same trend is also showing up in existing homes, though the statistics may appear misleading. Overall existing home values continue to rise, albeit at a slower rate. When broken down by price range, entry-level starter homes continue to go up in value while more expensive homes have experienced more price cuts, just as new homes have. That’s because there are a lot more consumers who can only afford an entry-level home, while there is a limited number for sale. New construction must compete with more expensive existing homes, for which there are fewer buyers. With the law of supply and demand asserting itself, prices have to come down. Prices have risen since the housing recovery in large part because of tight inventories. 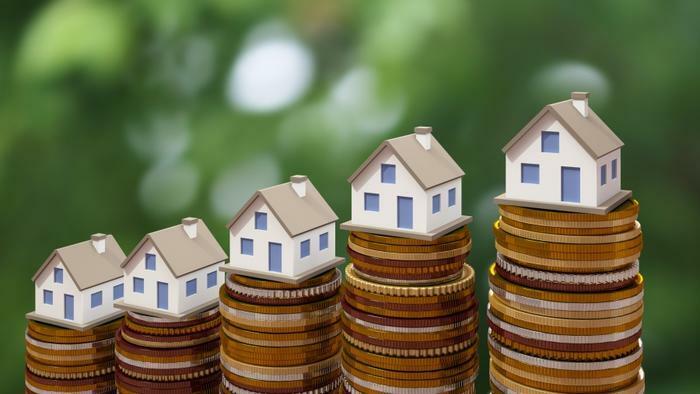 As the economy improved and more people wanted to buy homes, they found a declining number of homes in the entry-level, moderately-priced segment while there were plenty of expensive homes. Home builders are producing only about half as many new homes as they did before the housing crash, and those tend to be large and expensive. As we reported in 2017, home building activity wasn’t alleviating the housing shortage because most first-time home buyers couldn’t afford them. Homebuilders have cited higher costs for materials, labor, and land to explain their focus on more expensive homes. While homebuilders no doubt could easily sell small homes priced under $200,000, builders say they wouldn’t be profitable. “Facing high and rising construction costs, builders have few options but to target upmarket while homebuyers are increasingly squeezed by tight affordability and rising interest rates,” said Zillow Senior Economist Aaron Terrazas. But Terrazas says the price cutting trend might not last. He says builders appear content to build fewer new homes and charge more for them. With fewer new homes in the pipeline, the price cuts may not last.